Search engine optimization remains one of the most cost-effective strategies for increasing brand awareness, expanding reach and ultimately persuading audiences to buy, subscribe or engage. The strategies used in SEO in many cases are decades old, going back all the way to the beginning of search engines themselves. However, much has changed over the years. Now more than ever, expert advice and assistance is needed to truly elevate a brand’s presence in search results. 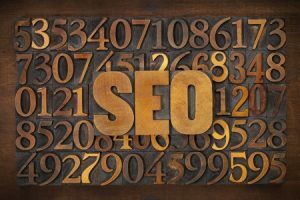 This can take lots of time and plenty of cash, but the real question is: how much should be spent on any SEO effort? Today, we’ll look at a few factors that can help you determine just what you should be spending on any SEO assistance. One of the biggest elements of SEO is content creation: without quality content, ranking well in select SERPs is nearly impossible. If you’re pinging search engines with content on an occasional basis, then you’re probably not generating enough buzz to truly jump through the ranks. This is why so many brands turn to freelance writers and firms for content needs. Whether you need more blog posts, articles, press releases or other types of content, these creators can be procured on an as-needed basis to generate a sufficient amount of content. Generally, you can expect to pay anywhere from $5-30 per blog post or article depending on the level of complexity and overall length. Another way to assess costs is by the hour: many content creators charge between $10-40 per hour (depending on native language, skill and other factors). For smaller brands, a content budget could be anywhere from $50 – $300 per month. In order to know exactly where – and who – to target, you’ll need more than just content. For brands that have a particular focus, market research is a must. In the pursuit of better SEO, finding the right keywords and target audiences to pursue can make the difference between a shoddy campaign and a superb one. Search marketing agents may be freelancers or employed by larger firms. These individuals will help with tasks such as keyword research, PPC campaign optimization, link building activities and other marketing efforts. Ultimately, the amount spent on this type of assistance can vary wildly. It depends on the number of assistants needed, the amount of work required and the overall ambition of the brand’s marketing strategy. At the end of the day, expect to spend around $50 per hour on average per marketing agent enlisted; this works out to an average of around $500 per month for a small business or brand. Last but not least, many SEO campaigns enlist the services of content creators and SEO gurus – but fail to procure help in the persuasion department. Ultimately, scaling the ranks of search engines only matters if people are interested in your content and subsequently click on it. This is where marketing professionals can be of service. These people help ensure that you’re pinging search engines with strong ad copy, headlines, meta data and other components in order to optimize every facet of your SEO presence. Best of all, this type of assistance can be used not only for SEO, but for marketing efforts via email and on social media. The average monthly spend on marketing professionals generally hovers around $1,000 for smaller brands. Ultimately, paying for a full-service SEO campaign isn’t cheap. Even small businesses are likely facing a couple thousand dollars per month to cover all of their bases effectively. However, the long-term rewards tend to be great for businesses and brands where there is a lot of potential value to be earned. Now that you know what to expect, you can begin making preparations to accommodate for this necessity.